Vesconite's Hilube bushing is being tested by Italian pump manufacturers. Representatives of Polymer bushings and wear material producer, Vesconite, have recently visited Italian pump manufacturers to introduce them to the company’s products, which are used to increase the operating life of vertical turbine, canister and sump pumps. Vesconite visited eight companies during the week-long trip, travelling from the south to the north of the country to establish relationships with pump companies, offer prototype testing and answer technical queries. The company’s pumps’ manual and its industrial design manual were translated into Italian in preparation for the trip. The team visited some very large pump companies, all of which were having problems with their existing bushing materials. Four large pump manufacturers have agreed to test the Vesconite Hilube bushing material to compare it with the product they currently use and evaluate whether it solves their current problems. 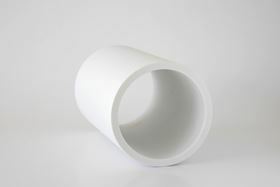 The Italian manufacturers are keen to test the Vesconite Hilube polymer and Vesconite Bearings has already received one drawing from a customer looking at 35000 units/year for a specific pump model. Vesconite Bearings is quoting for this order and will manufacture samples for the customer to do testing. Gary Croeser is knowledgeable about the polymer industry. Material is used with pumps in mines, boreholes and waste water management.